Plant secondary metabolism evolved in the context of highly organized and differentiated cells and tissues, featuring massive chemical complexity operating under tight environmental, developmental and genetic control. Biotechnological demand for natural products has been continuously increasing because of their significant value and new applications, mainly as pharmaceuticals. Aseptic production systems of plant secondary metabolites have improved considerably, constituting an attractive tool for increased, stable and large-scale supply of valuable molecules. Surprisingly, to date, only a few examples including taxol, shikonin, berberine and artemisinin have emerged as success cases of commercial production using this strategy. The present review focuses on the main characteristics of plant specialized metabolism and their implications for current strategies used to produce secondary compounds in axenic cultivation systems. 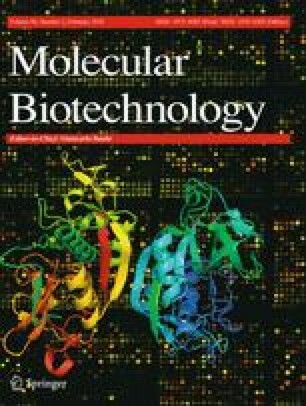 The search for consonance between plant secondary metabolism unique features and various in vitro culture systems, including cell, tissue, organ, and engineered cultures, as well as heterologous expression in microbial platforms, is discussed. Data to date strongly suggest that attaining full potential of these biotechnology production strategies requires being able to take advantage of plant specialized metabolism singularities for improved target molecule yields and for bypassing inherent difficulties in its rational manipulation. The online version of this article ( https://doi.org/10.1007/s12033-017-0056-1) contains supplementary material, which is available to authorized users. Preparation of this manuscript was supported by grants from Conselho Nacional de Desenvolvimento Científico e Tecnológico – CNPq, Brazil (AGFN) (Grant No. 306079/2013-5), and Fundação de Amparo à Pesquisa e ao Desenvolvimento Científico e Tecnológico do Maranhão - FAPEMA, Brazil (10/2015 BEPP). AGFN and SM conceived, outlined the review, and did most of the writing. HNM and FDC assisted in compiling literature data, drafting late versions of the manuscript and making figures. MY, MHM, RA, ASB, MS, and MB collected and helped analyzing the literature, and participated in drafting of the text.